by giving them something they'll truly remember. magician who can wow audiences big and small. WonderPhil is more than a magician. He’s an entertainer. 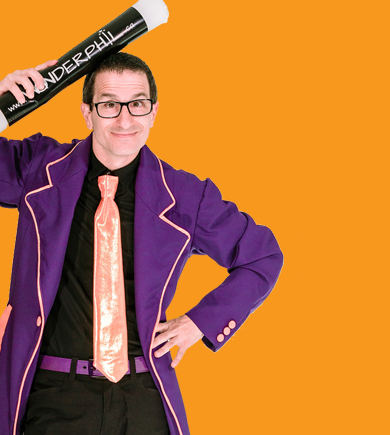 Along with wonder and amazement, his magic acts are packed with plenty of laughs. That means no matter what kind of event you’re planning, whether it’s a birthday party, a wedding or a corporate banquet, you can be sure that your guests will have a great time watching WonderPhil's magic show. Book a show or get more information now.